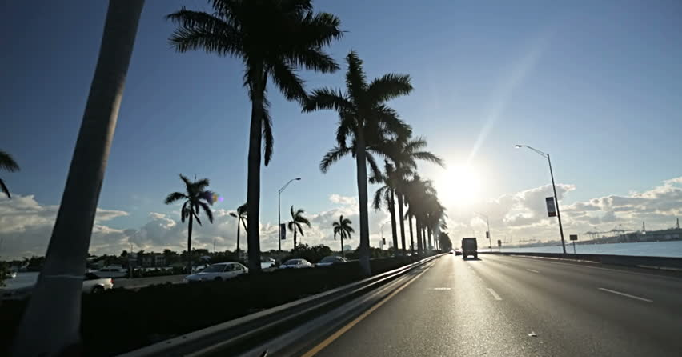 Florida has beautiful weather, and the best way for you to take advantage of it is to just get out there, hit the beach, go to your favorite restaurant, or where ever it is that needs you to get the party started. Problem is, you cannot always rely on a friend or family member to get you there. If you are old enough, then go get that driver’s license! Or, at least your learner’s license (restricted driver’s license). After all, you don’t want to have people to think of you as a forever tag-along. What does the FL TLSAE entail? For all of the new to-be drivers out there, taking a Driver’s Ed course may be a very intimidating obstacle that you need to overcome. There will be some reading, studying and understanding involved. There will be a test at the end. Do not let your anxieties get the best of you! The FL TLSAE (Traffic Laws and Substance Abuse Education) course is actually quite easy. It is only four hours long, and if you take the FL TLSAE course online, you do not even have to do it in one sitting. Here are some things to acquaint yourself with before heading in for both the big test (both written and practice). It is important to pay attention to your state’s road rules. This is one of the things that you are going to need to get a handle on because the written test will be composed of 40 multiple choice questions and 20 of them will be on traffic rules and laws. The other and 20 multiple choice questions will be on road signs. Knowing what these signs won’t just prepare you for the test, but will definitely help prepare you for driving on the road. Studying these will also help you stay clear of traffic tickets. Do not stress! Most of the answers will be common sense. As long as you get 32 out of the 40 questions correct, you pass! What does the FL Official Permit entail? The final road you must travel in order to receive your learner’s license is passing the Official FL Permit Test. Don’t sweat it. Once you’ve passed your TLSAE course and reviewed the tool links provided above, you will be ready for the 50 multiple choice question exam. 45 questions will be based on road rules and 5 will be on road signs. You must get 40 correct to pass. What’s Going To Happen at the DMV? You will experience your first un-fun driving experience at the DMV. Do not be discouraged! Once you wait in line and pass a vision test (with 20/40 vision in each and both eyes, with or without corrective lenses), and a hearing test – the Learner’s License is YOURS! What’s Going To Happen on the road? Learning the right-of-way. It can be a bit complicated at first figuring out when and where you should give up your right-of-way to others. Just remember, if two vehicles arrive at the intersection at the same time, the driver on the right has the “right” of way. For pedestrians, they always have the right-of-way when at intersections and crosswalks. Be careful when you are first starting to drive and remember: two wrongs don’t make a right (though three right turns do make a left). Good luck first time drivers, and enjoy!